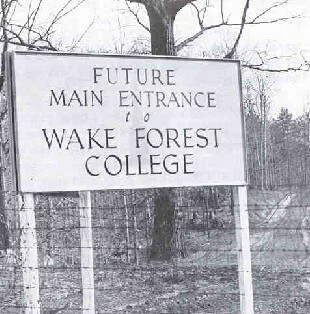 Wake Forest College moved to Winston-Salem, North Carolina, in the spring of 1956. Along with the people, books, and furniture, a vibrant history of personalities, events, traditions, and lore made the transfer to the Winston-Salem campus. The medical school had moved to Winston-Salem in 1941 to associate itself with the North Carolina Baptist Hospital as a teaching facility for its students. Within five years, business and cultural leaders of Winston-Salem began to encourage College officials to follow by proposing a significant sum of money to operate the school. 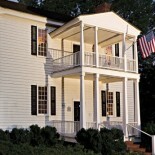 In 1946, the College trustees and the Southern Baptist Convention voted to approve the proposal. Shortly thereafter, the old campus was sold to the Convention to become the home of the newly formed Southeastern Baptist Theological Seminary. 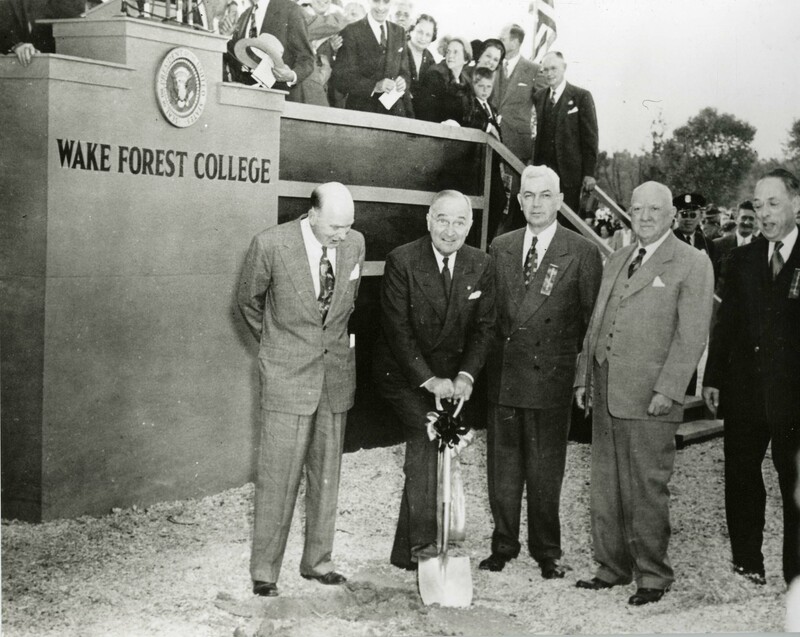 The new site was dedicated by President Harry Truman in October of 1951 but, due to war shortages, construction of the 26-acre campus was not complete enough to use until the spring of 1956. This entry was posted on July 17, 2013 by wakeforestmuseum in The Move, Uncategorized and tagged Tribble, Truman, Wake Forest College, Wake Forest University, Winston-Salem.